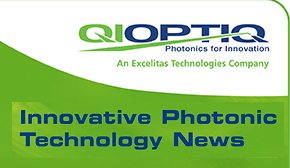 Qioptiq Q-Shop | Latest News and Updates | Buy online! New “EFL SOLVE” automatically changes final curvature to keep a chosen system focal length. Qioptiq provides software for lens design, which is suitable for both professionals and beginners. WinLens 3D is a powerful and easy-to-use simulation program for optical imaging systems. The BASIC version is available free of charge. 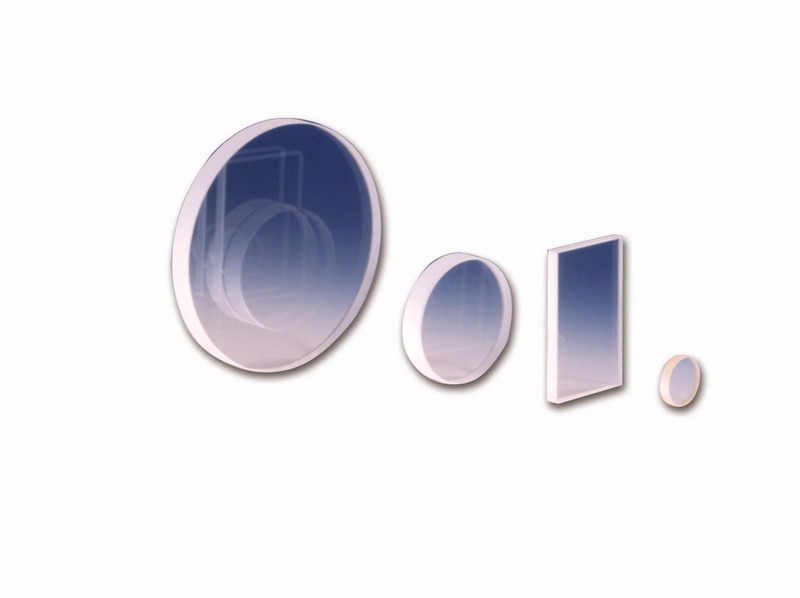 Qioptiq has been developing and marketing WinLens for 25 years. The designers at Qioptiq have many years of experience in the simulation, analysis, optimization and tolerancing of optical systems, and this expertise is reflected in the on-going development of the software. 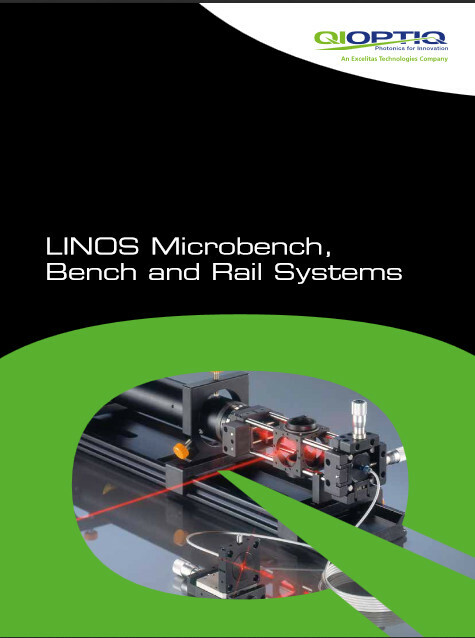 The LINOS Microbench™ system has been providing optical solutions for over 50 years. 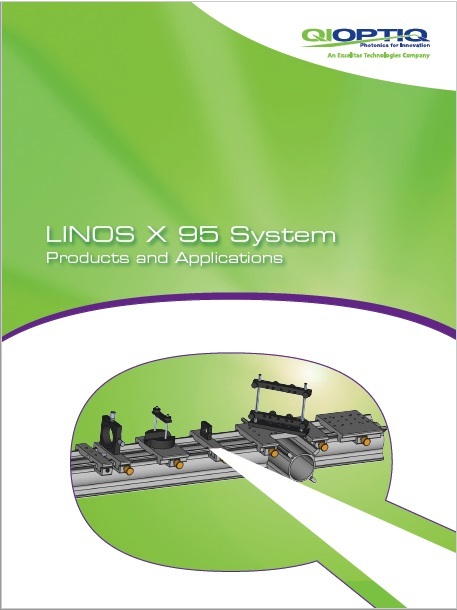 On this occasion, we are particularly pleased to present you a new edition of our Application brochure for LINOS bench systems. Our primary focus is to provide you with a clear overview of the various systems as well as their compatibility with one another. Numerous photographs illustrate the variety of applications and setups, providing useful solutions for your applications. Furthermore, this edition also contains our latest product offerings. For the first time we introduce our series of Q-Sets, compact optical subsystems built from standard catalog components. 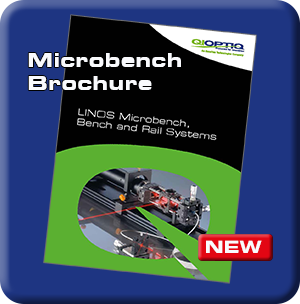 In addition, the brochure highlights the inter-compatibility of the LINOS Microbench™ with Qioptiq light sources and laser systems as well as Excelitas detectors. Last but not least, you will find an application example in which the Microbench™ system enabled the rapid development of a complex optical measurement device - a flow cytometer prototype. Register now for our free WinLens Webinar! you to get acquainted with the software we are offering a webinar on Tuesday, October 23rd at 15:00 CET (14:00 BST). You will find a summary of the Webinar content on our Website. Please register here for your participation. You will find all information about the software including an ordering option directly in our webshop. For over 20 years Qioptiq has provided its customers with the user-friendly and effective simulation software WinLens™ for optical imaging systems. This convenient software for simulation and analysis of optical systems has an intuitive interface and produces informative charts and tables for quick reference. The basic freeware versions containing WinLens™ Basic, Lens Library, and PreDesigner is now available as a download. 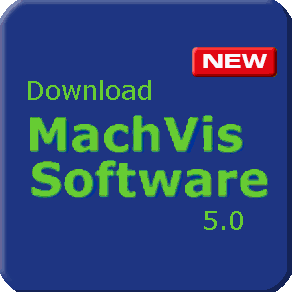 In addition the LINOS sofware MachVis, that is designed to help you find the right lens for your machine vision application, is provided as a download. With 4 simple parameters MachVis calculates the remaining optical parameters and then, from the extensive LINOS lens catalogue, selects all suitable lenses that meet the specifications. Under the new chapter Optics Software within the Q-Shop you may access the download area for the WinLens™ software as well as the MachVis software. 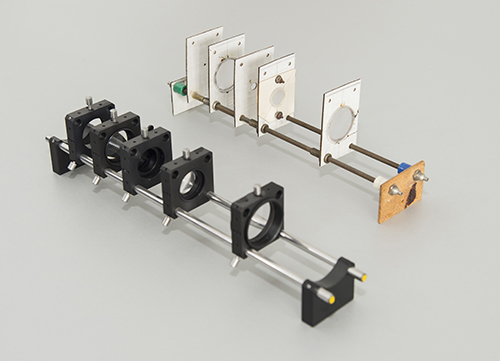 Qioptiq designs and manufactures high-performance solid-state laser systems and fiber optics for a range of scientific and industrial applications. The iFLEX® family of laser technology includes the high performance iFLEX-iRIS® laser series and the ultra-stable, multi-wavelength laser engine series iFLEX-Gemini® and iFLEX-Viper®. Combine iFLEX lasers with the kineFLEX® single-mode fiber optics manufactured by Qioptiq, to create the world’s most stable fiber coupled lasers. With over 25 years of experience in delivering marketleading technology, Qioptiq continues to support customers with demanding applications in semicon, biotech, analytical and industry, through new innovations in the iFLEX laser technology. 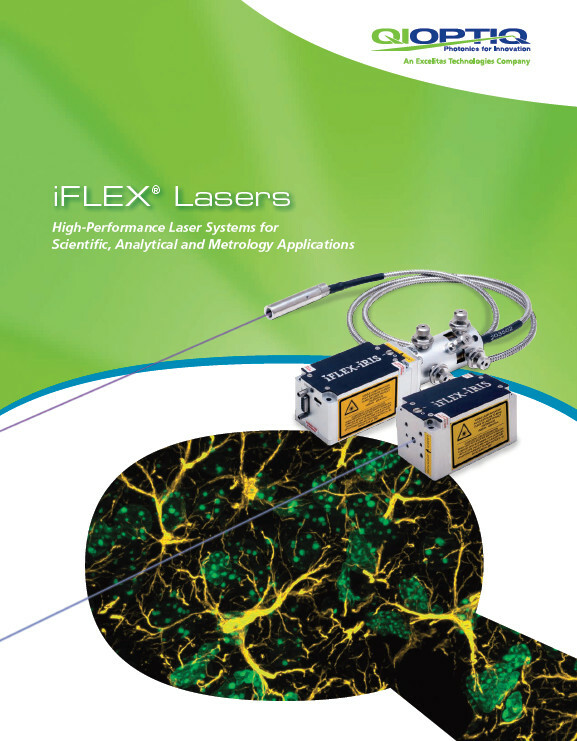 Download new iFLEX® Laser Brochure here. In the context of Qioptiq’s award for the best Q-Set, an interview was conducted with Dr. Aurin about the history of the Microbench he developped. Dr. Aurin, what prompted you to work on an optical measuring system? 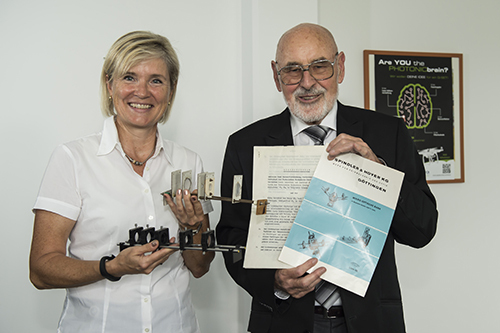 Dr. Aurin: As part of my diploma thesis at Stuttgart University of Applied Sciences, I started the first trial for a new instrument that could accurately measure to the nearest 0.1 micrometer back in the autumn of 1961. Was there anything like this available on the market at the time? Dr. Aurin: What was already on the market at the time was the so-called “perflectometer” from Leitz in Wetzlar – a length measuring instrument that could accurately measure to the nearest 0.1 micrometer for the purpose, for example, of measuring end dimensions. What did you want to improve in terms of measuring technology? Dr. Aurin: My idea was to design an instrument with a modified beam path which would be less sensitive to minor displacements than the Leitz perflectometer. Did you then head to the laboratory to get started? Dr. Aurin: (laughs) My initial studies were carried out on the kitchen table at home. In the final phase of my studies, my grant had run out so my wife had to work. I looked after our little daughter, and on the wax tablecloth of our kitchen, I drew up my first sketches and drafts for a micro-optical bench. Special production and series batches not included in the catalogue range can be found in our lens production at the Regen site. Drawings with the geometries and optical tolerances are required only. We also offer technical advice on applications through precision opticians. For further information please contact Bernd Ullmann. Our MachVis software is designed to help you find the right lens for your machine vision application. Using 4 simple parameters — object size, working distance, sensor size and camera mount — MachVis calculates the necessary optical parameters and then, from the extensive LINOS lens catalog, pre-selects all suitable lenses that meet the specifications. Modularity allows construction of a multitude of tailored designs. Components can easily be combined with other components from our Q-shop portfolio. Extremely stable system for research, production, and education. Download X 95 Profile System Brochure here.